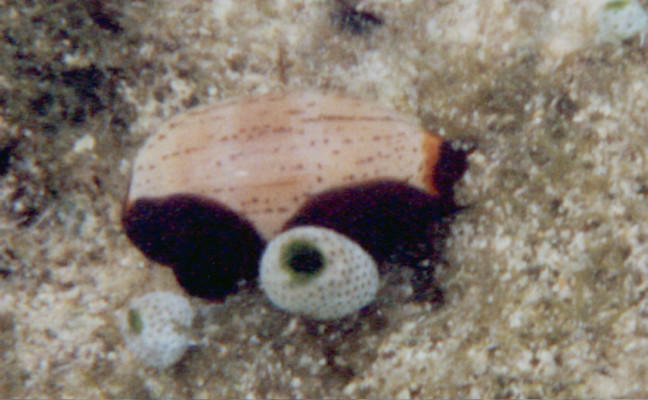 Cypraea isabella From Bunaken Isl. 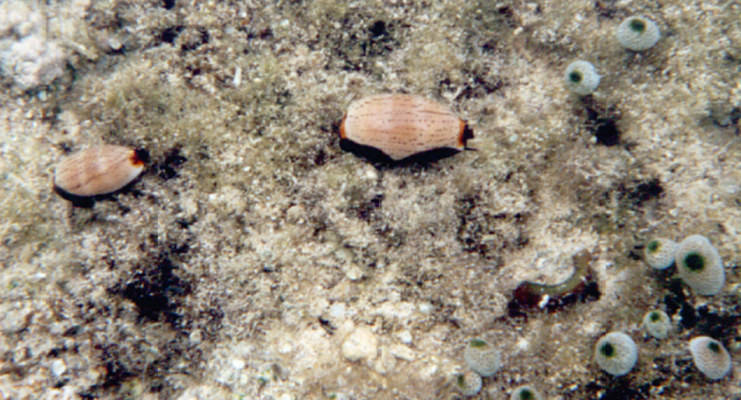 Manado North Sulawesi 18 May 98 In original position on turned dead coral. Close up view.